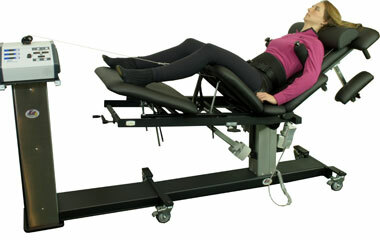 Non-surgical decompression involves stretching the spine using a traction table, at Koudelka Health Center we use the Kennedy Decompression Neural-Flex System. We're one of only a few chiropractic offices in the Greater Houston area with certification specializing in Non-Surgical Spinal Decompression treatment through the Kennedy Technique. Dr. Todd Koudelka has developed a screening process that combines his years of experience with spinal decompression and his certification in Kennedy Decompression Technique, which ensures the best traction protocol and treatment position for the patient. Why the Kennedy Decompression Technique? After a significant amount of research, the Koudelka Health Center chose the Kennedy Decompression Neural-Flex System, which we believe is the most technologically advanced, versatile, and state-of-the-art decompression system in the world.